Home Tags Posts tagged with "Race Gear"
We are moving into running season, which will bring athletes to race headquarters all over the world to join in the love of the competition and the allure of a gold medal. Athletes will follow grueling training schedules for months leading up to these races, and understandably, how to pack for them is usually the last thing on their minds. So we decided to follow our very own eBags Marketing Coordinator, Rebecca, to the famous Boston Marathon, providing her with expert packing tips along the way so she could feel confident in her pack, and focus on her PR! Ok, we said it…we are encouraging you to over pack. In any other occasion, we would coach you to only bring the essentials. On the contrary, if you aren’t properly prepared for any “emergency” come race day, whether it be a half-marathon, marathon, triathlon or anything else, you might not have such a good experience. You will want to bring enough clothes for pre-race, race day and post race, and you’ll want to prepare for any type of weather. 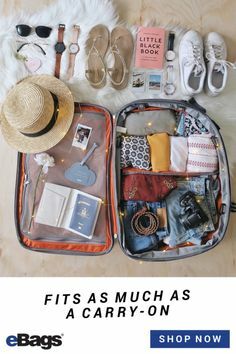 The good news is, you CAN over pack and not feel guilty about it as long as you are smart about it. Moral of this story? Train hard, pack smarter. With only the TLS Weekender Convertible and 2 packing cubes, I was able to guilelessly “over pack” and surprisingly enough, I still had plenty of room to spare! 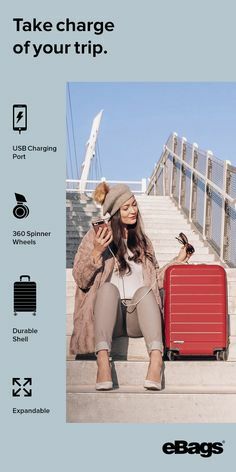 If you can’t fit everything you need for a 4 day trip in a carry-on roller or backpack, we only have one thing to say: who do you think you are? 🙂 Keeping your bag with you is absolutely critical when you are heading out to race day. A lost bag could mean a lost race, so you just don’t want to chance it. 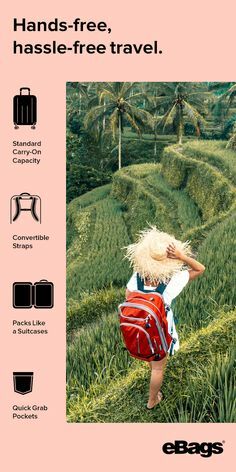 Carrying your clothes on your back also helps you remain flexible and fast in airport crowds and public transportation, so you will get to where you are going faster. Rebecca’s 4 day trip from Denver to New York to Boston fit seamlessly into the TLS Weekender Convertible. 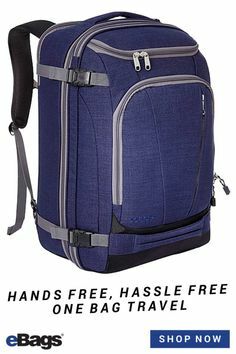 We like this piece of luggage because not only do the compression straps make for a very comfortable backpack, but you can also convert it into a suitcase or a duffel! We also love all of the compartments to organize Rebecca’s gear, food, and race paperwork, and the discreet water bottle is a total plus! 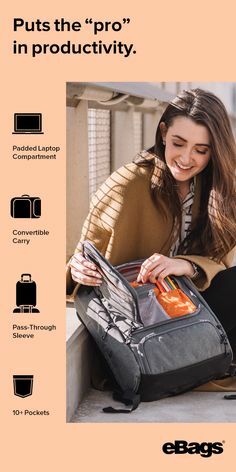 Packing cubes will be your traveling best friend once you make the switch. They allow you to do a lot more with your space and force you to pack efficiently. Rebecca decided to use the Ultralight Packing Cubes because she wanted to stay as light as possible on her back. We recommended she use one cube for pre-race, one for race day, one for post race, and several others to organize all of the other extras, like undergarments, race accessories (including energy supplements), and even electronics. 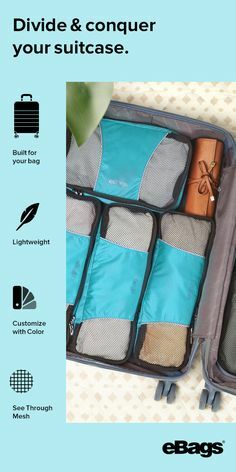 Packing cubes forever end the idea of digging through your backpack or suitcase to find one thing. Rebecca’s spent enough time training for this amazing milestone – let’s not waste her time now! You never know what the weather is going to be like for a race. Shoot, half the time meteorologists don’t even know what the weather is going to be. So don’t try to predict it. Any seasoned marathon runner knows that from dusk to dawn it could be as drastic as going from winter to summer. This is why it’s paramount your race bag is packed ready-to-go for any weather scenario you may encounter. Pro-packing tip: Consider using your packing cubes to organize a “worst scenario” weather backup plan. It might sound silly to bring your winter gloves to a race where the temperature is supposed to reach the high 70’s, but again, you can’t predict the weather, so be a pro and come prepared. Your future self will thank you. 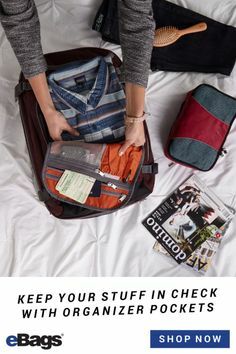 Unless you plan on doing laundry on your trip, bring something to put your race clothes in that will keep them separate from the rest of your clothes. If you don’t, everything in your backpack will smell like your race, and that may be a memory you don’t want to bring home with you! We highly suggest you keep your clothes and travel gear fresh longer with a wet/dry pouch. The Flight 001 Go Clean Laundry pouch works like a charm! 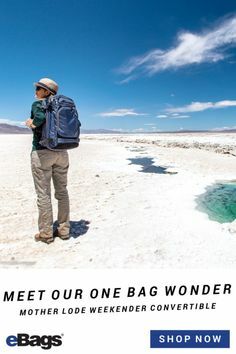 It’s made from a heavyweight, water-resistant nylon fabric which prevents the odor from dirty laundry from spreading throughout your travel bag. Voila! Clean clothes stay clean, dirty clothes stay away! At this point, it might seem like a no-brainer, but consider investing in a spare packing solution solely for your race shoes. Much like your dirty race clothes, your shoes will also be a complete disaster and honorarily so! A shoe bag or sleeve will do the trick! – Clothes for charity! Because her carry-on had so much extra room, she was able to bring additional clothing items for donations. Rebecca finished the race at 3:05.14 and placed in the top 150 for women overall. For this being her second marathon, we’d say she straight killed it. Love marathons? Here’s our top 5 picks for the best races of the season!